Gianfranco Adornato carried out his undergraduate studies at the University of Pisa, where he was awarded the Laurea Degree in Classics (Archaeology). His laurea thesis work focused on marble sculptures from Metapontum. In the same year (2000), following an international competition he was awarded a PhD fellowship at Scuola Normale Superiore in Pisa, Italy. There he attended the Corso di Perfezionamento (PhD School) in Art History and Classical Archaeology under the supervision of Salvatore Settis and Paul Zanker. He investigated archaeological materials in the most important museums of Southern Italy (Metaponto) and Sicily (Palermo, Syracuse, Agrigento) and in some of the major European museums (including the Nationalmuseet, Copenhagen and the British Museum, London). 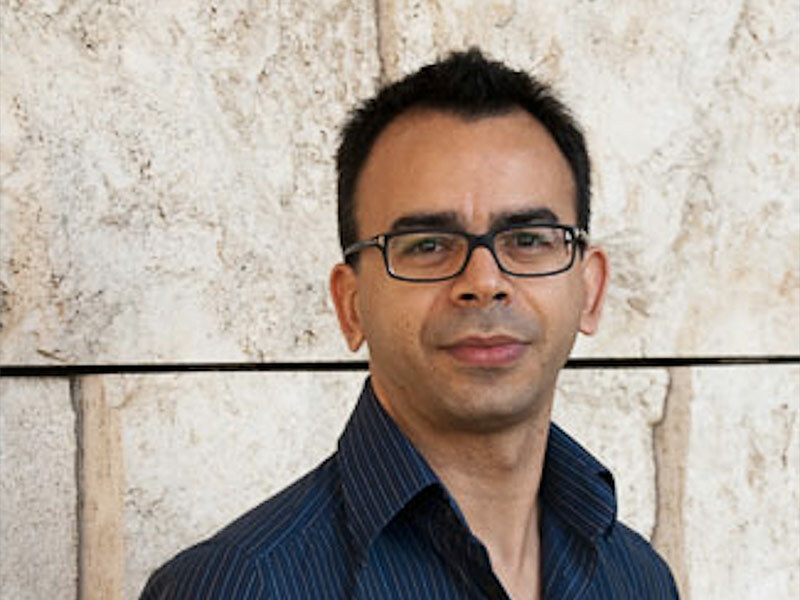 During his PhD studies, he carried out research at the Italian Archaeological School in Athens (April 2001) and in Strasbourg (November 2003-February 2004); he was Visiting Scholar at Columbia University, New York (December 2002-February 2003) and Fellow at the Getty Research Institute, Los Angeles (2012). He taught Archaeology and Greek Art History and Archaeology of Magna Grecia at the University of Pisa, Dept. of Archaeology (2000-2008). He taught Greek and Roman Art and the survival of ancient art during the Medieval and Modern times at “Scuola di Specializzazione per l’Insegnamento Secondario” (History of Art, 2005-2008). He has lectured and spoken at conferences in Italya, in Europe (Berlin, Dublin, Leiden, London, Oxford, Budapest, Paros), in the United States (Los Angeles, New Orleans, Seattle, Boston) and in Japan (Tsukuba). Scientific coordinator and promoter of conferences and colloquia in Italy and abroad: Scolpire il marmo. Importazioni, artisti itineranti, scuole artistiche nel Mediterraneo antico (Pisa, SNS, November 9-11, 2009); Arte-Potere. Forme artistiche, istituzioni, paradigmi interpretative (Pisa, SNS, Novamber 25-27, 2010); Sul Papiro di Artemidoro: I disegni, with Salvatore Settis (Firenze, Gabinetto Disegni e Stampe degli Uffizi, February 2, 2011); Artistic Practice in the Ancient World: Sketches, Models, and Pattern Books, with Kenneth Lapatin (Getty Villa, Malibu, May 4, 2012); Out of Scale! Aesthetic, Technical, and Art Historical Perspective on Ancient Bronze Statuary, with Kenneth Lapatin (Firenze, SNS, Palazzo Strozzi, March 21, 2015); Pliny’s History of Ancient Art: Towards a Contextual perspective, con Kenneth Lapatin (San Francisco, 117th AIA Annual Meeting, January 6-9, 2016). He was awarded with a National Research Fund by the Italian Ministry of University and Research and is the Principal Investigator of the project PRIN 2012 “Beyond Pliny. Reception and transmission of art theories, artists’ canons, technical and artistic lexicon, between the Late Classical Period and the Roman Imperial Age. A multidisciplinary approach to the Naturalis Historia (Books 33-36)”. Iconografia e “rappresentazioni” di un mito. Nota a Erodoto, II, 41, 2, Annali della Scuola Normale Superiore di Pisa, s. IV, IV, 1, 1999, 189-198. I disegni del Recto, in Il Papiro di Artemidoro (P.Artemid. ), edito da C. Gallazzi, B. Kramer, S. Settis con la collaborazione di G. Adornato, A.C. Cassio, A. Soldati, LED Milano 2008, 463-578. G. Adornato (a cura di), Scolpire il marmo. Importazioni, artisti itineranti, scuole artistiche nel Mediterraneo antico, Milano, LED Edizioni, 2010 [rec. : B. Sismondo Ridgway, BMCR, http://bmcr.brynmawr.edu/2011/2011-08-46.html; K. Karouglou, AJA online, http://www.ajaonline.org/online-review-book/1484; V. Nobs, Histara, http://histara.sorbonne.fr/cr.php?cr=1457; L. Baena del Alcazar, Baetica 2011, 33, 463-467; M.C. Monaco, ASAtene 2011, 89, 327-366]. Southern Italy, in F. De Angelis (ed. ), A companion to Greeks across the ancient world, Wiley-Blackwell.